Javelin thrower who has earned acclaim for his prolific international career, including as a gold medal winner at the 2017 Asian Championships. 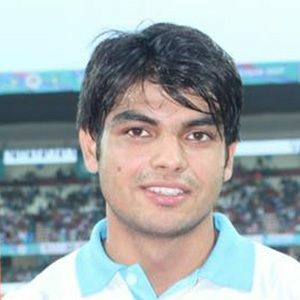 He later won the 2018 Commonwealth Games and Asian Games, where he set a new Indian national record for javelin throw. He graduated with his bachelor's degree from DAV College, Chandigarh. He has served as a junior commissioned officer in the Indian Army. He earned a gold medal at the 2016 South Asian Games. His parents' names are Saroj and Satish. He and Koji Murofushi have both won field events at the Asian Games.